How Do You Know Your Coin Is Authentic. Image Copyright: © 2015 James Bucki; All rights reserved. A grading service or third party grading service (TPGS) or certification service refers to an independent company that authenticates, grades, attributes and encapsulates coins for a fee. The fee schedule is a tiered system where rare and expensive coins will cost more than common low-priced coins. Additional services that are available for an extra charge include attribution of die varieties and high-quality photography. Third-party coin encapsulation services were pioneered by the American Numismatic Association in 1972. Realizing that the coin collecting industry was in need of an authentication service that could provide an independent third-party opinion, they founded ANACS. The next major player entered in 1986 with the founding of Professional Coin Grading Service (PCGS). The following year Numismatic Guaranty Corporation (NGC) began operating. The services that these companies provide begin with authentication. 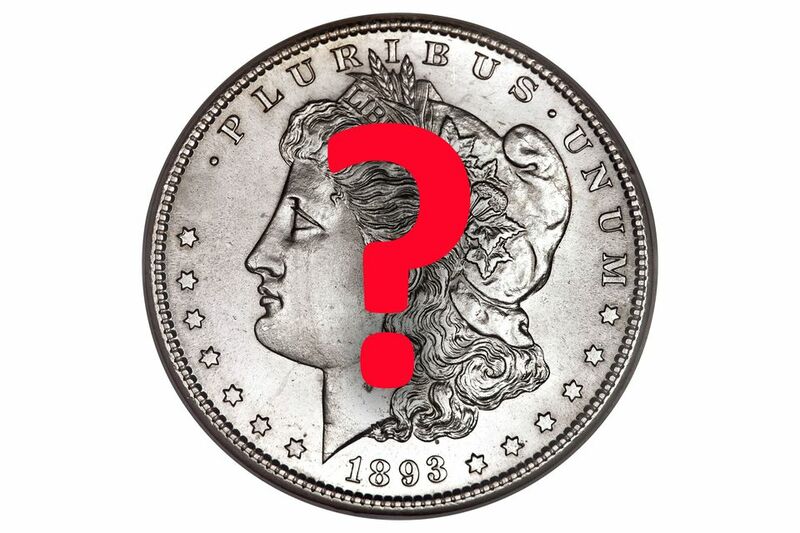 There are many coins that are counterfeit, altered or doctored in an attempt to deceive coin collectors. Depending upon the coin, the evaluator will employ several different methods to determine if the coin is authentic or not. If the coin is not genuine, it will be returned to the submitter in a plastic bag with an identification tag indicating its questionable authenticity. This is commonly known as a "bodybag." If the coin is authentic but has been doctored or altered in some way (e.g. cleaned, scratched, etc.) the coin will be encapsulated but not be issued a grade. Next, a grade is assigned to the coin. The coin is then passed to another evaluator for his grading opinion without the knowledge of the first evaluator's grade. Most commonly, if the two agree on the grade the coin is assigned that grade. If the two evaluators do not agree, the coin is then sent to a "finalizer" that will agree with one of the two grades. If attribution of die varieties is requested, the coin may be sent to a specialist for evaluation. Most commonly this comprises VAM attribution of Morgan dollars. Most third party grading services list which die varieties they will issue attribution services for. Finally, the coin is encapsulated in an inert plastic container (a.k.a. slab) that will identify the coin type, date, mint, grade and variety attribution (if requested). The encapsulated containers are tamper evident and include security features to prevent the plastic containers from also being counterfeited by unscrupulous people. The coin authentication and grading industry is not controlled or regulated by any private or government agency. Therefore, anybody can start encapsulating coins for a fee. Many third party grading services have come and gone over the years. Some of them were operated by coin dealers to slab their own coins with a higher grade than normal in an attempt to increase their profits. Over the years consumers have recognized the following companies as the most trustworthy and reliable third-party coin grading services. SEGS, SGS, PCI, NTC, ASA, etc. One of the most important benefits of submitting a coin to a third party grading service is that the coin will be encapsulated in a protective holder. Since the holder looks like a "slab" of plastic, it has earned that term as a nickname. The holders are made out of inert materials that will not damage the coin while in the holder. The hard plastic provides the ultimate protection for your rare coins and will show any evidence if the holder has been tampered with. Some TPGS also guarantee that there holders are airtight and waterproof. Just about anyone can submit coins to these companies for authentication and grading opinions. You should consult the company's website for specific instructions. Some companies have minimum requirements and annual membership dues. If you do not feel you have enough coins to justify an annual membership fee, many coin dealers will accept coins on your behalf and submit them to the grading services for the cost of the submission plus a handling fee for their time and effort. Since the mid-1980s, coin grading standards have changed. Some numismatists contend that the standards have weakened and coin grades have been inflated over the years. To address this problem John Albanese founded the Certified Acceptance Corporation (CAC) in 2007. For a fee, you can send CAC your certified NGC or PCGS rare United States coins for their evaluation. If they are solid or high end for the grade that was assigned by one of the coin grading services, they will attach a special holographic sticker to the holder. If it does not meet their minimum criteria they will return the coin in the original holder without a sticker. Other companies have also entered the fourth party grading market. This includes Modern Approved Coin (MAC) for modern United States coins and World Identification and Numismatic Grading Service (WINGS) world coins, tokens and medals that have been graded by PCGS, NGC, ICG, ANACS or ICCS (Canadian Grading Service).